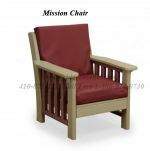 Maintenance free poly furniture come in a variety of colors. Visit our Colors Page for other team color choices. For all you Maryland Terps, Ravens, Redskins, Steelers, Orioles, and Yankees fans: check out our team spirit furniture in your matching favorite team colors. Great for indoor or outdoor use! Is your son or daughter setting up their first house or apartment? Tables and chairs in their favorite team colors would brighten up any home! 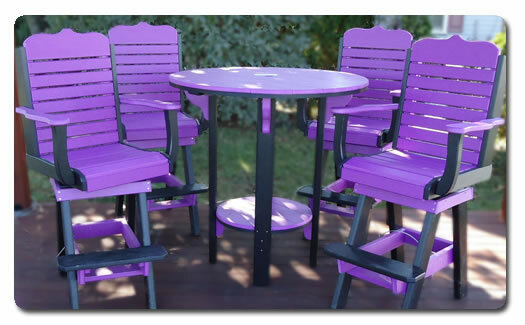 Take a look at some of the poly vinyl lawn furniture we have to offer! Select a full set or purchase just one piece. Additional styles available in our outdoor showroom and catalogs. 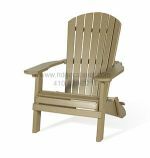 Our plastic lawn furniture is made of vinyl poly lumber.